If you’re looking to really enhance your outdoor space a house or garden canopy will give your living space a beautiful makeover. Watch your garden transform into an outdoor sanctuary with one of our stunning canopies allowing you and your family to spend more time outside. 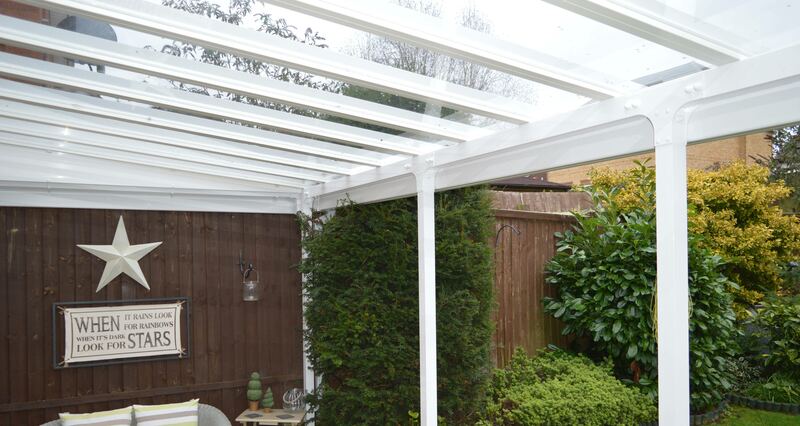 Whether you’re entertaining friends in the evening or keeping the kids occupied during the summer holidays, a canopy for your garden provides the perfect shade and shelter. 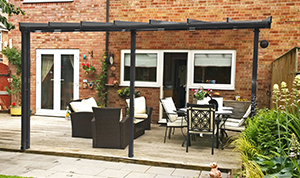 If you love spending time in your garden but the weather prevents you during the colder months a Patio Canopy extends the time you can spend outside all year round. 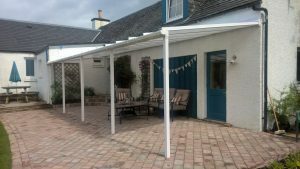 With UV protected polycarbonate roofing our patio canopies provide the ultimate protection from the sun as well as much needed shelter from unexpected showers. Click here to see our full range of Patio Canopies. It’s clear to see why our Elegance Glass Roof Canopy is a popular choice for home owners who want to make the most of their outdoor space. This high end canopy allows a clear view of the sky above. The glass roof allows an abundance of natural light to filter through – making the most of those bright summer evenings. When the light fades, enjoy a relaxing evening looking up at the stars. Click here to see our full range of Glass Roof Patio Canopies. This stunning grey canopy will compliment any garden with its subtle grey colour and elegant structure. This years most sought after colour, the Anthracite Grey Canopy will provide shade and shelter all year round during the day and well into the evening. Offering a wide selection of size options your guaranteed to find the right canopy for your home. Call us on 01536 446393 for more information or Click here to find out more. 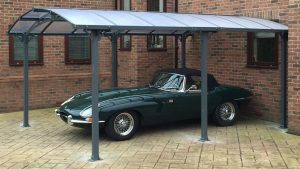 This multi-purpose curved canopy can be used to cover a patio providing an outdoor seating area to entertain friends and family or doubles up as a stylish carport for protecting your car, van or bike. However, you choose to showcase this beautiful canopy you or your vehicle will be sheltered from the sun and rain all year round. Our extensive range of over door canopies includes glass, stainless steel, GRP and aluminium. All our over door canopies provide shade and shelter for your front or back door – enhancing the look of your home and garden. 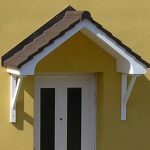 Click here to see our full range of GRP Over Door Canopies. 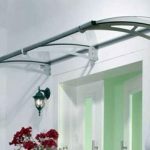 Click here to see our full range of Contemporary Over Door Canopies. By adding some outdoor lighting you can brighten your canopy long after dark and make the most of those warm summer evenings with a glass of wine or cold beer. Enjoy those early mornings watching the sun come up with a cup of coffee under a canopy while the dog stretches its legs or while the kids get ready for school. If you would like to know more about any of our home and garden canopies please call us on 01536 446393.